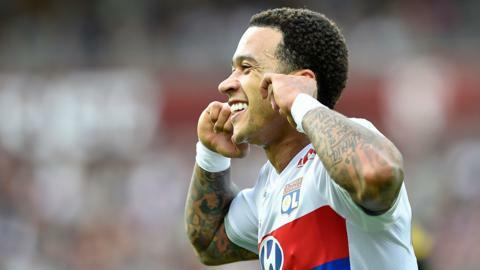 Former Manchester United winger Memphis Depay has a hand in all five goals as Lyon thrashed Metz. Blaise Matuidi scores in injury time as Paris St-Germain seal a remarkable win at Metz to go level on points with Monaco at the top of Ligue 1. Kylian Mbappe's first Ligue 1 hat-trick helps Monaco thrash Metz to restore a three-point lead at the top of the table. Live coverage of Sunday's French Ligue 1 game between Nice and Metz.